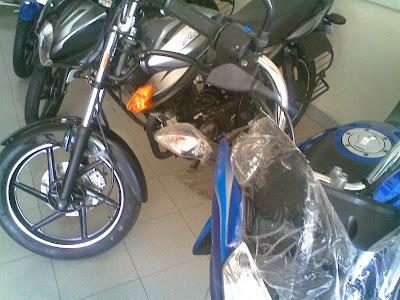 Yesterday I got opportunity to have a test ride of the new Bajaj XCD -135. I've already mentioned in my previous post about the bike I was pretty disappointed with the looks and features of the bike, specially when I compare the bike with what I saw at the 2008, Auto Expo. But today I can say that even though I was disappointed in the beginning, but today I've no grudges about the bike. So let's begin with the overall features and specs of the bike. The bike is fitted with 134.60 cc DTS-SI engine producing a max Power Output of 10.2 PS @ 7500 rpm and a max torque of 11.58 Nm @ 5000 rpm. The test bike I rode was Kick Start with Drum variant having a kerb weight of 113 kg. The styling fit and finish of the bike is quite nice. In fact the styling of the bike, specially the Digital Speedo assembly, the electronics assembly on the handle bar is better than the Pulsar siblings. One thing which I very specifically noticed was the placement of the front number plate. It was bolted on the front mud guard. 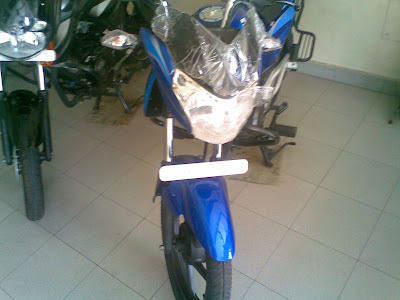 Guess Bajaj over did itself with the design and patents, as it failed to implement it's already patented low front number plate clamp implementation, which the company implemented on the Bajaj XCD 125. So, going around the bike for a while, now it was time for the test ride. The kick as expected was quite smooth and required almost no effort to crank the machine to life. The engine note, for me was something new!! To me it sounded like the cute purr of a small kitten. The engine note was so low, that in traffic you would have a hard time listening to the engine note. The 5 speed gearing is all front and the gear box was smooth as a butter. 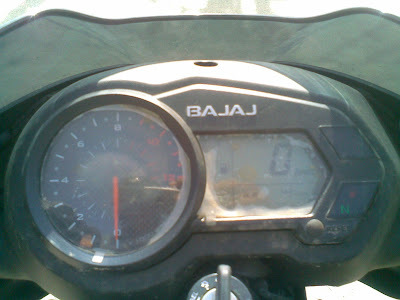 Guess finally Bajaj has cracked the puzzle to implement a butter smooth Gear Box. One thing that awesome about the bike, it the amount of pull it generates in a given gear, and the amount of torque the bike has. The Power:Weigth ratio and the Torque:Weight ratio works like magic for this bike. 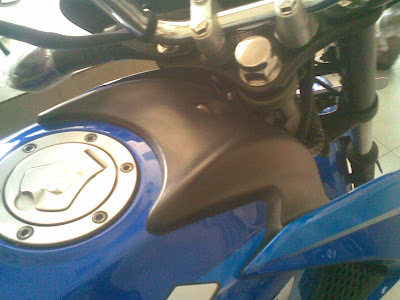 To test the torque of the bike, I halted the bike at 5th gear to a stop and tried to pull the bike from a stop. I was expecting a howling engine note and jittery engine seize... but to my utter surprise..... the bike pulled itself from there, with me (around 80 kg) riding it. Though it did put some effort but it did pull itself. That's how well managed the torques are in this bike. Being light, the bike is very readily flick able, and maneuvering is quite effortless.... be it at speeds of 20kmph or 80 kmph. Even though the spec chart says the max speed of the bike is 90kmph, but I felt the bike has all the capability built in that small power house beneath the saddle to touch 110kmph. So, after a quick ride, here's what I felt are the positives and negatives of the bike. 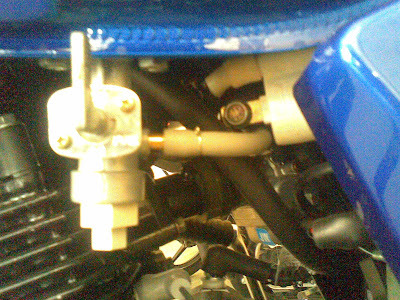 1) First and foremost, the Pull and Torque generated by the small 134.60 cc DTS-SI engine. It's simply magical. 2) The aggressive styling of the bike. 3) The ride comfort.... it's a perfect commuter seating with loads of spice thrown in. 4) The very positive gear box assembly. 5) The engine note..... I simply loved it. 1) The Tank fairing is completely false and have no other purpose apart from being adding to the over all styling of the bike. 2) I personally didn't liked the design of the turn indicators. To me they look stupid and illogical. 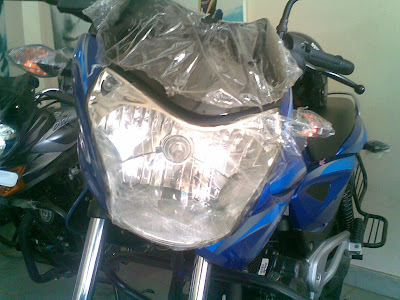 The design and implementation of the turn indicators on the revamped Bajaj Discover 135 make more sense as they make use of the Tank Fairings. 3) The LED Tail lamp design should have been kept the same as on the XCD shown at the Auto Expo. 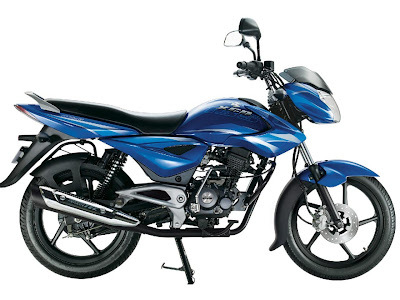 Overall I found the new Bajaj XCD 135, very appealing and a great value for money for the Indian Commuter. yep, its a decent bike.. I also felt to be quite smooth at least till 75-76 kmph in 5'th gear (didn't rev more). Like wise bro... like wise! !